2013 marked the 300th anniversary of the birth of Blessed Junípero Serra, father of California’s twenty-one historic colonial Spanish missions. These Missions stand as a testament to the perseverance, reverent evangelical zeal and extraordinary fortitude that led Serra and his brother Franciscans from humble beginnings in Majorca, Spain to a new land that was oceans away from their homes. Today, the California Missions stand as important elements of both California state history and the history of the United States. In a world that grows increasingly hectic and fast paced, these Missions continue to offer places of peace and tranquility. 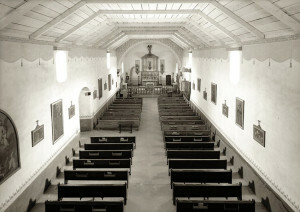 Since 2008, I have been on a mission of my own to complete personal pilgrimages to all 21 California Missions. To better understand the heritage of these Missions, I have also traveled twice to the island of Mallorca, Spain, to visit the birthplace of their founder, Fray Junípero Serra. During my Mission pilgrimages, I have often felt a life force flowing through them. This unseen energy has a Spirit. It is this Spirit of the Missions I try to capture and reveal through my work – communicating the essence of these beautiful historic buildings, artifacts, and tradition. Each Mission has its own character and feel that makes it distinctive and worthy of notice. Working with a 5×7 view camera, I have printed this series in platinum/palladium from in-camera negatives. I found the platinum print aesthetic seems to work especially well for these images of ‘Old California’. “With the pending canonization of Fray Junípero Serra by Pope Francis this September, this body of work takes on new import”, observes photographic artist Craig Alan Huber, adding “This book was created to honor Fray Serra and his greatest legacy as father of the 21 Alta California Missions.” The project began back in September of 2008 when Mr. Huber first visited three California Missions in southern California with a borrowed camera. He soon returned with his own 5”x7” view camera and film. Mr. Huber made many sojourns over the next five years to his home state of California from his current home in Woodinville, Washington to capture the images included in the book. 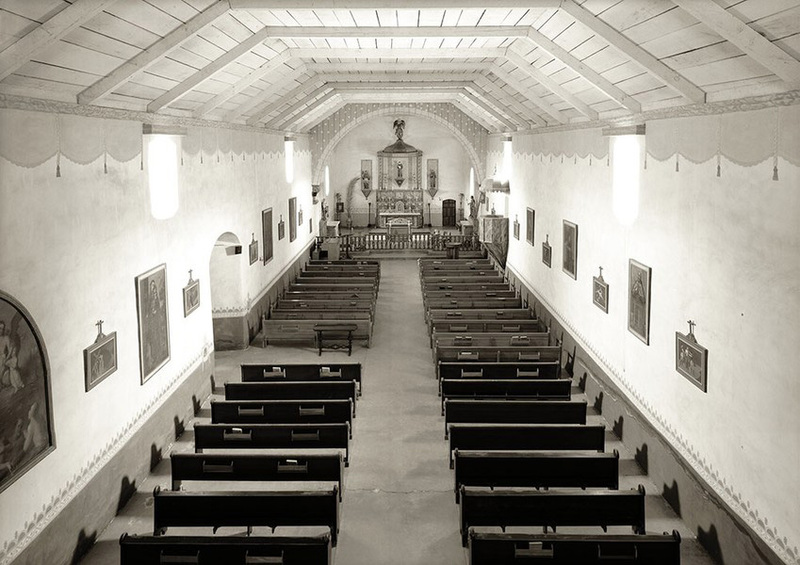 The 22 tipped in and 3 loose platinum/palladium prints are crafted in a style and aesthetic that honors both the appearance and the history of the missions. Each mission photograph is accompanied by an apropos historical quotation from a notable luminary. The artisans at Marquand Editions played a pivotal role in the creation of the book as well, printing the pages in letterpress, and individually crafting each of the 15 numbered editions. Following a showing of the book, Nicolette Bromberg, Visual Materials Curator, Special Collections, University of Washington Libraries remarked “It was a pleasure to hear your thoughts on how you experienced the buildings”. That experience of ‘The Spirit Within’ is communicated visually in the images and accompanying text. To read more about the project and see other related works, visit www.veritaseditions.com. Please contact Veritas Editions at inquire@veritaseditions.com for further information or to arrange a viewing of The Spirit Within: The California Missions.